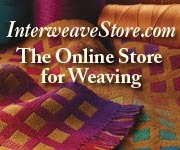 inklings weaver | The platform of Dianne McNamara – weaver, lace maker and pilot – the Flying Shuttle! The platform of Dianne McNamara – weaver, lace maker and pilot – the Flying Shuttle! I don’t believe it! I get home from my trip and now I work out how to put photos in my blog with the iPad! Last day today. We got up to a very cold clear morning. Always a good sign. A quick brekkie then another very full bus load out to the airport via the petrol station. Once the trike was out of the hangar we fueled up and then got ourselves ready. A REX flight came in as we were warming up the engine so we knew we were clear of commercial flights for at least half an hour. 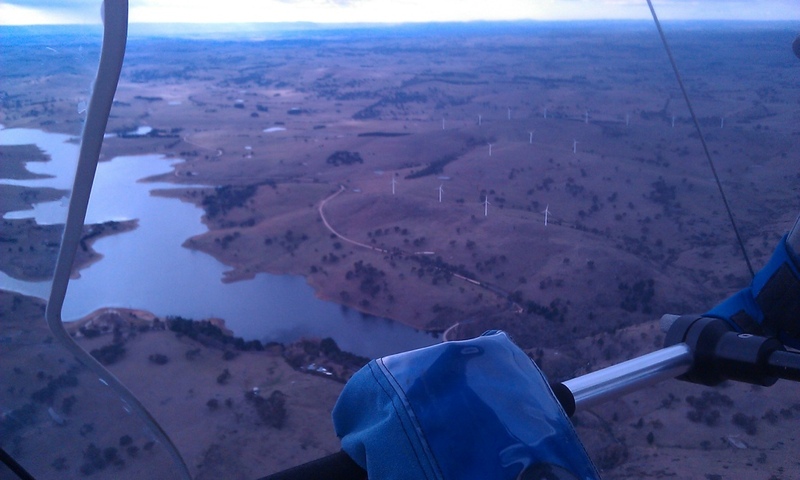 I was in the pilot’s seat and with nil wind it was easy to blast off on 32 and hang a left to Yarrawonga. Oh, dear. Looks like we are paying for our tailwinds with a 25-30 knot head wind. The trip to Yarrawonga took two and a half hours but is was clear and smooth and uneventful, if a little cold. On the ground it was straight around to the hangar and put the baby away. Aircraft were coming in left, right and centre so it was best to get out of the way. Some pilots had left Narrandera to track straight home while others stopped, refueled, then headed off again. For us the trip ended now. We unloaded stuff, had some lunch, picked up the bags from the bus, then called the grandparents to get the kids dropped off and the trip was definitely and finally over. We had one last dinner out in the local pub and were picked up by the bus one last time which the girls thought was great. What a great trip, the weather didn’t hold us up and now I can sit down and add all the photos to the trip! Today we woke up to clear and cold skies. Looking good! After brekkie we hopped on to an extremely loaded bus with all the trike pilots and those needing to refuel. Out at the airport it didn’t take long to empty the hangar and get ourselves organised to head off. Argh! We paid for our tailwinds with a 10 to 15 knot headwind. At least at 4,000 feet it was smooth. It took one hour and forty minutes to get to West Wyalong and we decided it would be a good idea to land for a comfort stop. 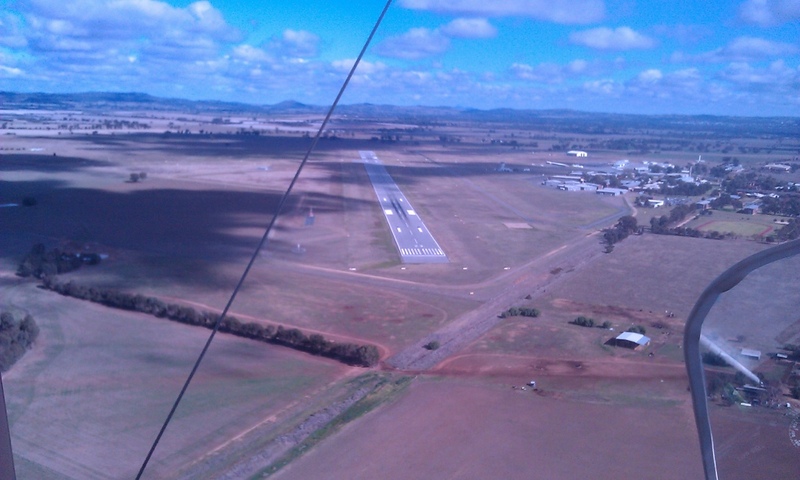 I know that landing at West Wyalong would be interesting thanks to the crosswind and the trees around the strip. We got down without any dramas but I did feel it was more of an arrival than a landing. Good to stretch the legs and visit the loo! Back in the air Gary took the front seat and we had a smooth clear flight to Narrandera with the continuing headwind. On the ground we waited for the bus to take us to the motel where lunch was ready. Then off to the Narrandera hatchery for a tour of the facility. Finally we got back into town where we hit a bakery for a cuppa and a cake before back to the motel for showers and relaxing before dinner. Last night of jokes and stories. When I peeked out of the window this morning after the alarm went off I was very relieved to see some blue sky amongst the clouds AND the rain had stopped! Whew! Off to breakfast then load up the bags in the bus and find a seat for the trip to the airfield. Once we got there Peter let us into the hangar and we loaded up and geared up. Man, I feel like the Michelin man with all the clobber on. Very hard to move. The wind was 9 knots from the north east so we taxied out with a group of aircraft then did a u turn half way down and departed with Peter and Anne just behind us. Whoa, it was rough! Not as rough as I have experienced but rough enough. It kept Gary quite busy. We had to watch the cloud levels and choose our path as high as possible but stay out of the cloud. Getting away from the northern hills of Bathurst meant the lower cloud disappeared and we were able to climb out of the bumps and over the next scattered level of clouds. Ahhh, smoothness and tail winds! We got to 7,000 feet over Orange to get over a large section of cloud and then flew under the next wide section of greyness. Parkes was in sight. The let down into Parkes was smooth and an absolute non event with a beautiful landing by Gary. We found on landing that the guys who flew to Orange to get hangarage two days ago rather than take pot luck at Bathurst had to fly through an absolute washing machine to get out of Orange. They had to deal with the turbulence beneath the clouds that we were able to fly above. When the bus finally arrived we made lunch in the aero club then travelled to the motel in town. After a shower and a coffee Gary and I decided to get our exercise and walked to the Elvis and pioneer museum on the other side of town. Not a bad display at all. We caught the bus back to town and it is relaxing time before we go into dinner again and have the balsa aeroplane throwing competition tonight. Today was a lay day with no flying which was just as well as the rain started before too long. We loaded into the bus and were taken to the motor racing museum at Mount Panorama. A video of the early days of the racing track was very interesting. Next was looking at the cars and other paraphernalia of racing. When we were heading out of the museum we were driven up the wet track and around the racing course. Rather scary going around the esses in a 22 seater bus in the rain. Next stop was the pub for lunch. We had a bit of time before it was to be served but nobody was keen to go anywhere in the cold and rain. We sat around the heaters and practiced being bar flies. Lunch was quite nice but big as usual. Not keen to get on the scales when we get back. Next stop was a cafe for coffee and dessert and then another trip through the rain to the fossil and mineral museum. Now that was an interesting place. We became thoroughly cultured and knowledgable after a good browse through the centre. Another trip through the rain got us back to the motel where we relaxed before dinner and the usual stories and jokes. I have to mention that I am trying to put photos with these posts but it isn’t working from the iPad! Today it was my turn to fly and the sky looked a bit threatening but clear in the direction of Bathurst. We got out to the airfield nice and early and our well oiled machine got the trike up and ready to go in no time flat. I think Gary and I have been doing this type of trip long enough that we work well together. We headed out as the first trike and blasted off into the wide blue yonder. Another delightful fly to Bathurst made even nicer by a 30 knot tail wind! Who hoo! We had some bumps on descent as we passed through the wind layers but approach was very gentle and straight into the wind on the main runway. Pulled up near the Aeroclub as directed and then watched the wind swing around to the west and strengthen. Very glad to be on the ground. All the other flew in without any difficulties which was great and even better was the offer of hangar space for all the trikes especially considering the weather forecast. Once all the trike were under shelter we caught the bus into our accommodation and had lunch there before checking out the shops of Bathurst. Found Nattie’s rapunzel birthday pressies in a local shop so that is a major task completed. Walked up to view the Mount Panorama sign then walked back……..that was our exercise for the day…….now it is off to dinner and the usual entertainment as the day is discussed. Town. Too late to go to the Japanese gardens for a look so we wandered the shops before dinner and the usual jokes and stories about the day. The flying shuttle is flying again! Gary and I are on our annual Megafauna flying trip, this year’s destination is Bathurst. Naturally, I had to clean up the loom room before I went. This was along with packing the girls clothes for the trip to Grandma’s for the week and packing my clothes for very cold weather flying. Anyway, the wool wall is finished so all my stash is now visible for easy selection. Great for Saori. Now on with the flying! A great morning with clear cold skies showed promise for lovely flying. And it was great. I piloted the first leg into smooth air with light fluffy clouds spread around at about 2,000 feet. We were the last trike to leave but not the last aircraft. We have 34 aircraft with about 50 crew and lots of trikes. Coming into Wagga Wagga I could see the cloud getting thicker. We had been flying above it in smooth but cool air with lots of gaps showing the patchwork of paddocks beneath us. I made the decision to go below the cloud just in case we couldn’t get through further on and naturally flew into bumps. Oh well, rock and roll around in the bumps on the final approach to Wagga. Unfortunately, we found a trike had crashed on landing at Wagga which put a bit of a dampener on proceedings. Pilot and passenger were taken to hospital for treatment and observation. Dig a hole for the trike. We spent the rest of the day after a BBQ lunch cruising the shops at Wagga- or at least what was open- before relaxing back at the motel before getting together for tea. We all have to do things to encourage other fibreaholics to get in there and have a go so I proposed the Great Vest Challenge amongst our local Handweavers and Spinners Guild. But to do this, of course, I needed to make a vest. The rules for the Vest Challenge are it must be made somehow from fibre. Commercial yarn is allowed but the only commercial fabric allowed is in the lining if required. The vest can be felted, knitted, crochet, woven, spranged, laced, anything. Amongst the delights of draw loom fiddling I wove my vest. I had bought some lovely space/variegated dyed boucle pure wool from Rainbow yarns (Carol Olde, mother of Melanie Olde in my links section, check them both out) I also had a hankering to use a beautiful synthetic thread that glitters and reflects light. The plan changed around a bit but the end result was using the boucle as the warp and the reflective yarn as the weft. I also wanted to finish the fringe off with some bobbin lace work using the warp so sufficient length needed to be left throughout the warp as well. I was concerned about getting my pieces the same length with hem stitching in the right spot so I decided to weave the back panel first, then split it for the front panel, leave a section unwoven for the lace later then finish on the two under arm panels woven side by side but with some warp threads dropped to reduce their width. Although this was slower than just throwing the shuttle I do feel it was worth it because I am sure I wouldn’t have got my sides the same size any other way. Once the piece came off the loom I found something that I hadn’t taken into consideration-the stretch of the boucle under tension. The pieces were the same but not as long as I had planned. Fortunately, they were long enough. I decided it would be best to sew the vest together, make the lace edging and then wash it. It did work pretty well putting it together this way. Some of the fringe for the lace was shortish so I had to sticky tape the ends to the bobbins to have them hold on to work with but apart from that I wasn’t put off enough to put the whole thing in the too hard basket. For me, that is the crux of the matter. So now I do have a workable and very different vest that I am quite please with and am doing my best to use to encourage others of our Guild to get back into their craft. By the way, I entered it into a local show competition and it came first, too.